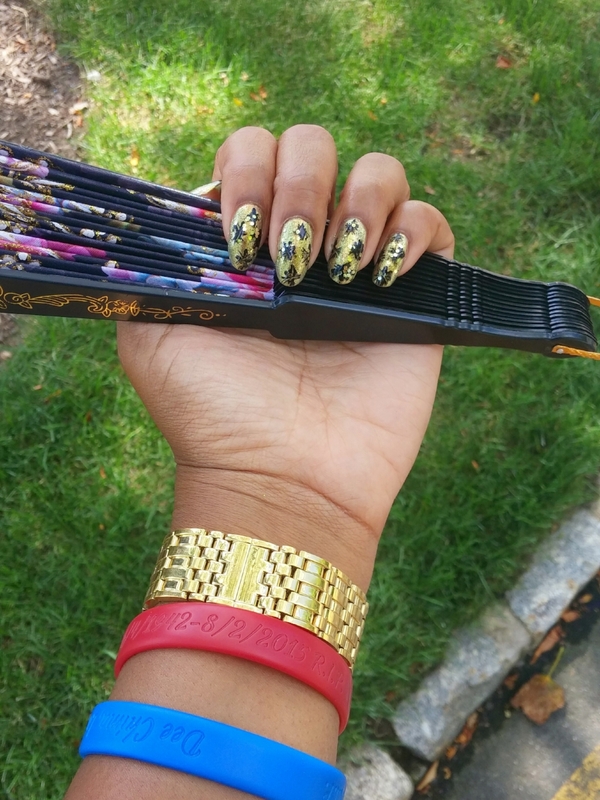 "Another nail design inspired by my black and gold outfit. 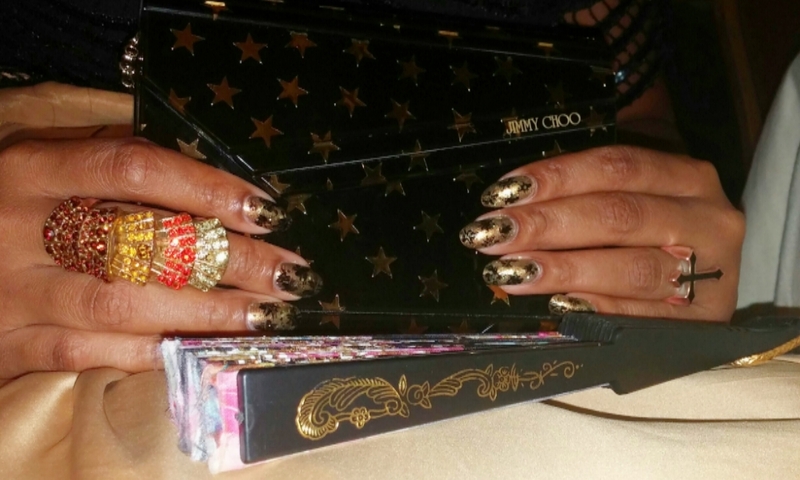 Specifically my black and gold star studded clutch. I attempted to create black stars but didn't succeed. I still think it's pretty if you don't know what I was trying to do. 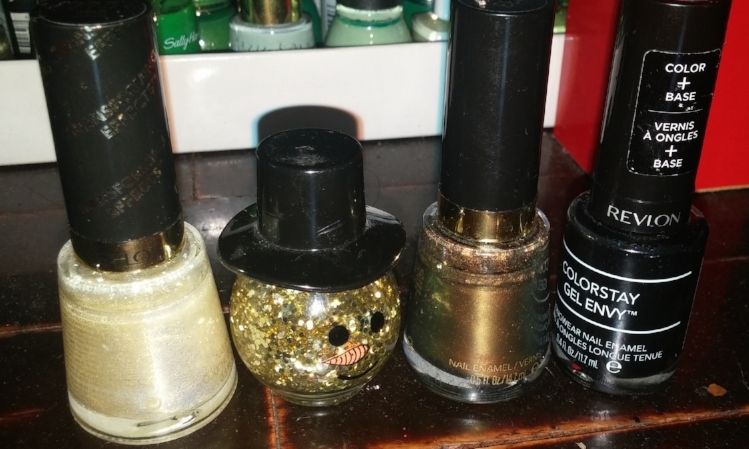 Surprisingly, I didn't have the exact shade of gold I wanted so I had to combine certain nail colors to get the same result. 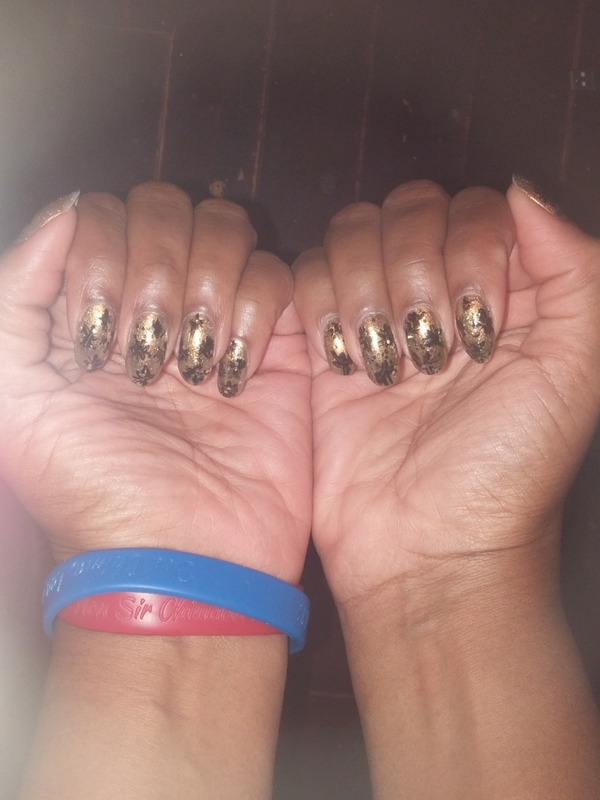 First, I applied Revlon's Chameleon followed by Revlon's Gold Glaze to brighten the otherwise dark chameleon. 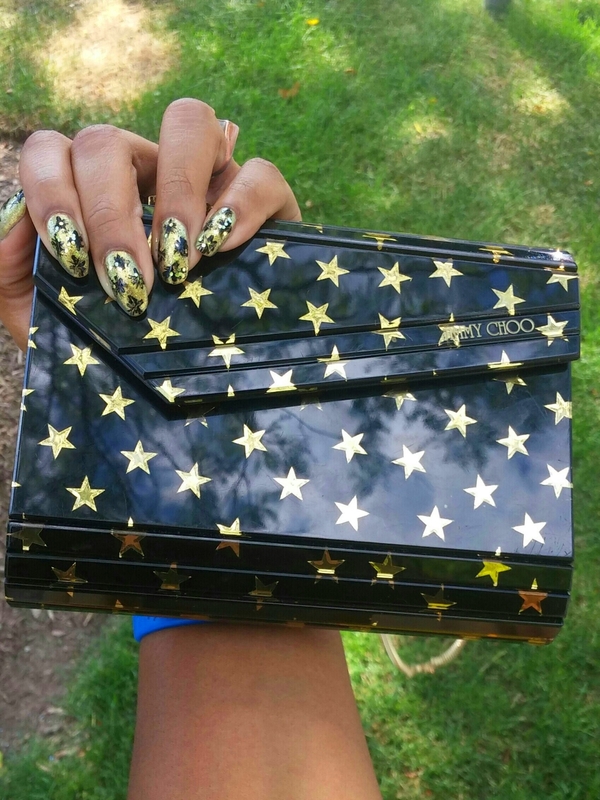 I added some gold sparkle and for the stars I used Revlon's Blackjack. Finished with my Revlon extra life top coat. 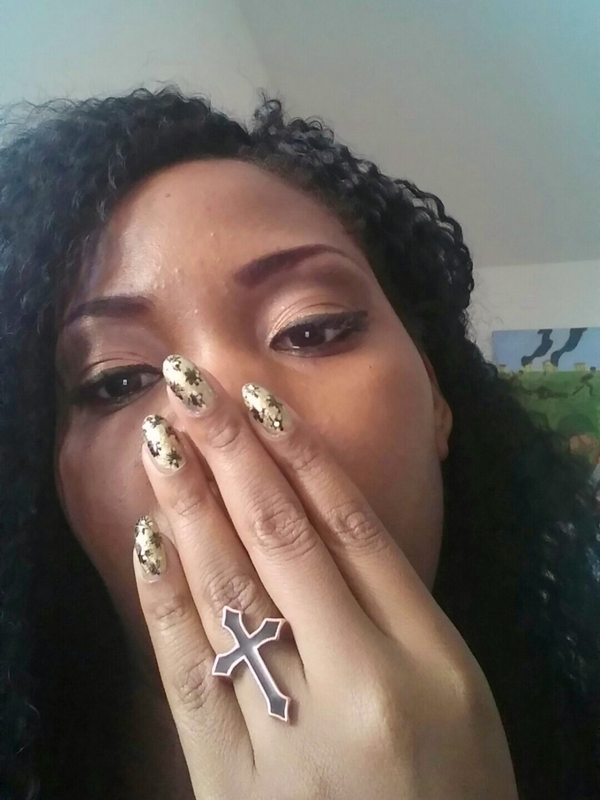 I must say this is my favorite nails to date. You would agree if you see the way it sparkles in the sunlight. Beautiful!"